In 1968, the Viking gas field was discovered and first gas was produced in 1972. Since then the U.K. portfolio has grown to include additional operated and nonoperated assets. North Sea Exploration was effectively activated by the discovery made by Royal Dutch Shell in 1959 of the Slochteren onshore gas field in Groningen, Holland. Up to this time, oil and gas finds in northwestern Europe had been relatively minor and had not attracted the attention of other than national oil companies in their respective countries. Both industry and governments were slow to react to the importance of this discovery. The slow reaction was fortunate for Conoco as it gave the company an opportunity to catch up with what would otherwise have been an overwhelming advantage for the other major companies who were already strongly represented in Europe. Bureaucracy played an important part in delaying the opening of offshore to exploration. After nine years of deliberation, the United Nations finally adopted in 1958 the Geneva Convention on the Continental Shelf areas of the North Sea and other northwestern European waters. However, the convention provided that it would only come into effect upon ratification by 22 countries. The U.K. was the 22nd country to ratify, and the date was 11 May 1964. There could be no concessions granted in the North Sea outside territorial waters until after this date. In 1964, U.K. Licensing Round 1 was opened and Conoco made applications for several areas aimed at structures that we had previously mapped in the Rotliegendes trend as a result of participating in several early seismic speculative shoots. Acreage was awarded to the company on 17 September 1964. In 1968 two gas discoveries of commercial significance were drilled by the company in the South Viking area. Improved interpretations led to further drilling in 1969 and resulted in the North Viking gas field being discovered. This was followed in 1970 by three additional gas discoveries in the Viking area. By the beginning of 1972, Conoco was firmly in the saddle as operator in the northern U.K. North Sea. We had completed numerous seismic programmes on open areas and also obtained a one-mile grid on existing licenses. The company made an aggressive application for 38 blocks in U.K. Licensing Round 4 in 1972 with a commitment of considerable seismic and wells. A new area was also opened in the Atlantic Ocean west of the Shetland Islands. By 1973, the company obtained sufficient rig power to enter into an active drilling programme in the North Sea. Three additional gas discoveries were drilled in the gas area and three wildcats in the oil area. The Hutton field was discovered. Drilling activity continued in 1974 where an additional gas discovery was established in the U.K. gas area. Six wildcats were drilled in the U.K. northern oil area in 1975, resulting in three discoveries, among them the Murchison field. 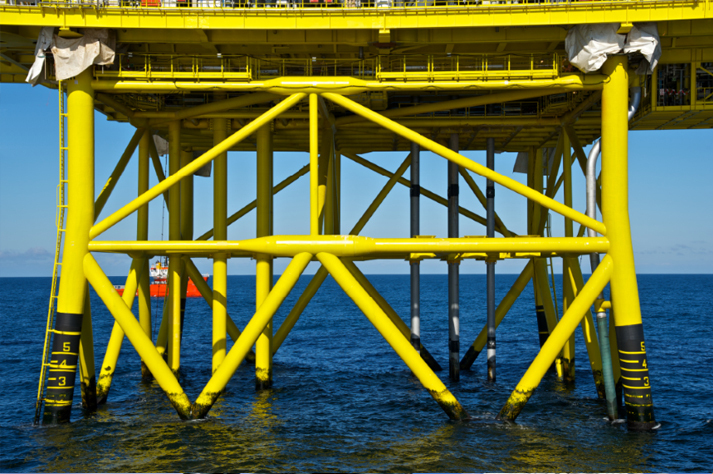 The Hutton TLP was christened in 1984 as the industry’s first tension leg platform in the North Sea. In 1988 the V-fields were developed in the North Sea and the Lincolnshire Offshore Gas Gathering System (LOGGS) to transport gas from the V-fields to the Viking terminal at Theddlethorpe (now called the Theddlethorpe gas terminal). ConocoPhillips was created through the merger of Conoco and the Phillips Petroleum Company on 30 August 2002. The company, now ConocoPhillips, completes the acquisition of Burlington Resources, in 2006 growing its portfolio of gas reserves including the East Irish Sea operations in the U.K.
On 1 May 2012, ConocoPhillips successfully separates the company’s refining and marketing and exploration and production businesses into two stand-alone, publicly traded corporations, Phillips 66 and ConocoPhillips. While the repositioning of the company impacted ConocoPhillips U.K.’s operations only slightly, the change signals another exciting time for the entire company. Today our integrated asset portfolio, talented workforce and long-term strategic plan have us poised for future growth in the production of bitumen, natural gas liquids, light oil and natural gas.